Apologies in advance as this will be a short post! It was a nice and cool Saturday morning which was perfect for catching up with a friend. We went to No. 4 Blake Street in North Perth for breakfast since both of us have wanted to go there and have heard of their popularity through Urbanspoon. My friend, Matt has been there for lunch and he said that it was average. So we decided to give breakfast a go, which will hopefully be better! We were at No.4 Blake Street early in the morning and the crowd still hasn’t kicked in yet. As usual, I always have trouble deciding on what to eat. At the end, I went for the Waffles ($14) and so did Matt too. 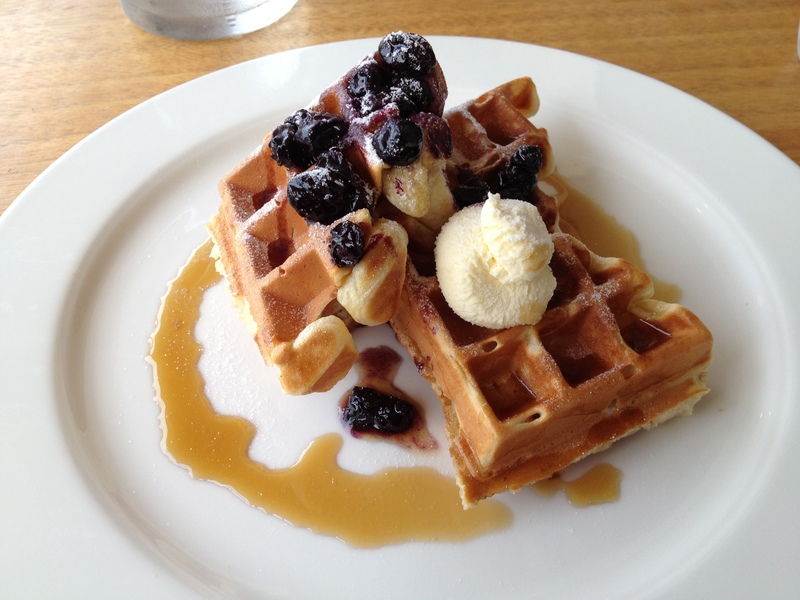 Overall, the waffles were really delicious, light and fluffy. It doesn’t make you full which was great because I didn’t want to have a full breakfast on that day as I was going to meet my cousin for lunch later. I would highly recommend the waffles if you can’t decide what to eat or if you want something sweet for breakfast. Matt gave his verdict, and he thinks that breakfast was better than lunch. Overall, my experience at No. 4 Blake Street was very good and the service was friendly and efficient. I will definitely be back to No. 4 Blake Street to try their lunch and dinner and maybe other dishes for breakfast. For all those coffee aficionados out there, I hear they also serve good coffee too. Other than serving great food and coffee, No.4 Blake Street provides an atmosphere that is great for catching up with friends.